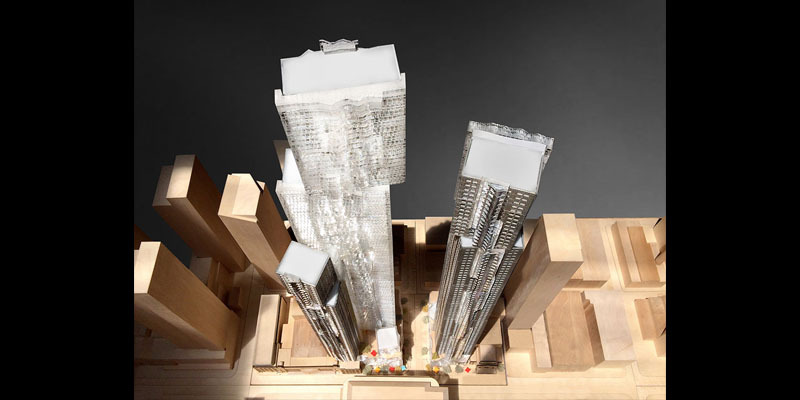 Introducing Mirvish+Gehry – one of the most anticipated and talked-about new condo developments in Toronto; bearing the names of two of the city’s most famous sons. Mirvish+Gehry. The name alone inspires excitement and wonder. Mirvish is synonymous with the city; from the famous Honest Ed’s store to the Ed Mirvish Theatre that helped define the theatre district, the Mirvish family is entwined in the history and growth of the city. The other half of the development name belongs to Frank Gehry – the world-famous architect from Toronto who is responsible for some of the most outstanding and memorable building designs of the last few decades. Together, these two names will combine to create one of the most unique and impressive condo developments in downtown Toronto: Mirvish+Gehry Condos. The development will include two huge condo towers; the west tower rising 92 storeys and the east tower 82 storeys. It is Gehry’s first major residential project in the city of his birth and he doesn’t disappoint with the design. 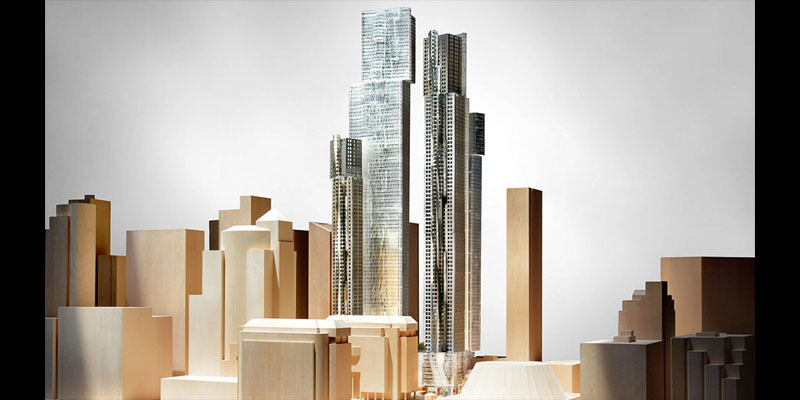 The two towers will have a unique, overhanging architecture that will give them the kind of prestige and elegance that Gehry is renowned for. 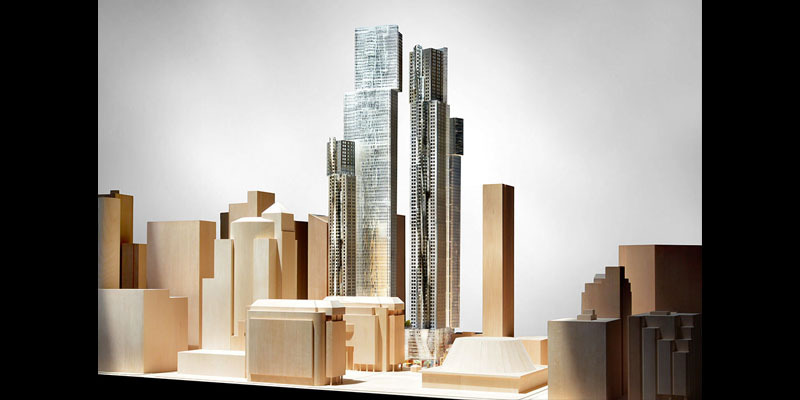 With a design like this, Mirvish+Gehry Condos is sure to stand out as a Toronto icon. In addition to the many condo units in the towers, the podium levels of both buildings will house a combination of retail and office space, with the east tower also providing space for OCAD University. The Mirvish family is famous for it’s investment in the theatre district and it comes as no surprise that this is where this flagship development sits. 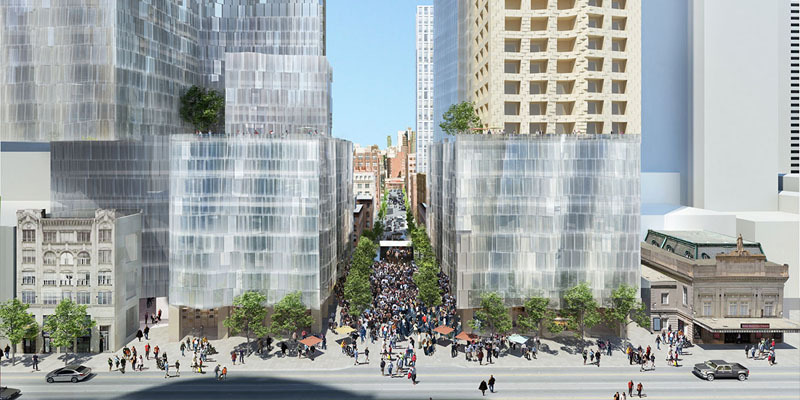 Mirvish+Gehry Condos will sit between the Princess of Wales Theatre and the Royal Alexandra Theatre; across the street from Roy Thompson Hall and Metro Hall; and just a short walk from the other nightlife highlights in the Entertainment District. It’s perhaps the most exciting area in Toronto, with enough going on around to fill up anyone’s schedule. Just look at the perfect 100/100 walk score that the area boasts. It is a “walker’s paradise” with anything and everything you could want or need within easy reach. Mirvish+Gehry Condos is in a perfect location to get around Toronto. The subway is just a two-minute walk away, Union Station can be reached in five minutes, and there are an endless number of bus and streetcar services in the area. In fact, if you want to go further afield, there’s even an airport that is just ten minutes away! You really couldn’t ask for more in terms of getting around.